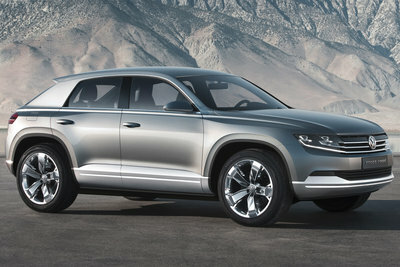 At the Tokyo Motor Show (3rd to 11th December) Volkswagen is showcasing its concept of an SUV of the future: the Cross Coupe. Visually the all-wheel-drive plug-in hybrid vehicle shows how Volkswagen designers could envisage a crossover between a four-door coupe and a compact SUV. The design team led by Walter de Silva and Klaus Bischoff have created a fascinating study that impressively combines the best of two worlds. Original, strong in character, sculptural and dynamic,...Read.